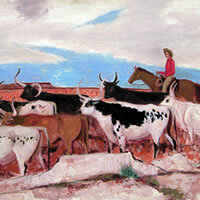 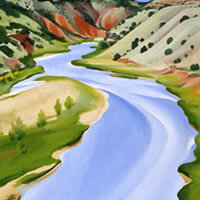 New Mexico Art Tells New Mexico History is a journey through the New Mexico Museum of Art’s rich collection of paintings, prints, sculptures and photographs bringing our state’s artistic heritage to you, the owners of these works—students, teachers, families, and art and history lovers. 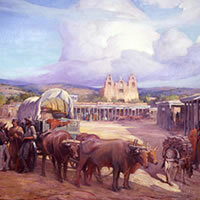 We have selected images highlighting New Mexico’s history and cultural traditions from pre-Conquest to our present day. 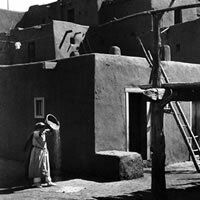 The four Themes shown below offer you a view into the life and times of New Mexico and New Mexicans as our state grew and developed.